60% of the fresh produce in America’s grocery stores, restaurant salad bars and school lunches is harvested in Mexico. 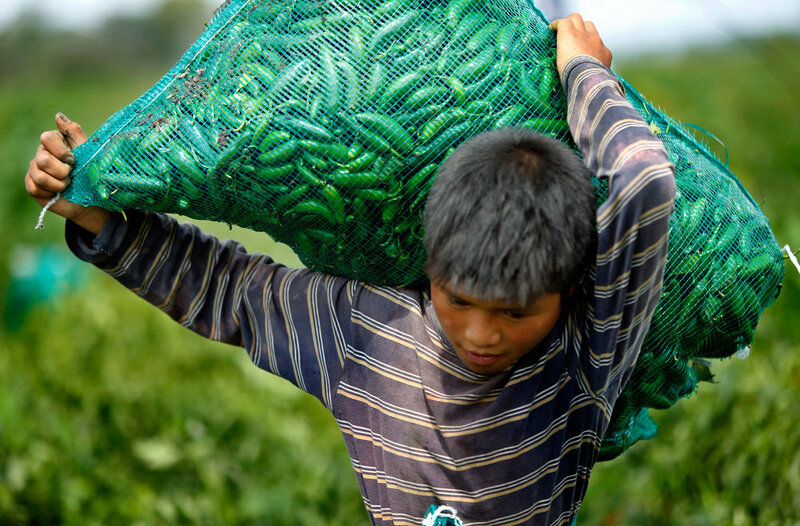 In 2013-2014 I spent several growing seasons in 5 Mexican states with migrant workers and contract pickers. Initially looking for children in the fields of northern Mexico I also found an under reported industry of labor and wage exploitation across the Republic. Ranch owners, field bosses and security guards I encountered snapped at me as if my camera was a loaded gun. I was detained and expelled from farms and labor camps as many times as I slipped away to report another day. Eventually it was empathy and courage that unlocked the gates. The empathy was mine but the courage came from brave jornaleros who wanted me to see how they worked “like animals” for about $1/hour. They wanted me to photograph living conditions where they were being stabled for the night like livestock. The trick was to get inside their closed sub-culture with loaded cameras, but without sacrificing my brave hosts to discovery by their bosses. It was the most stressful assignment of my 45-year career as a photojournalist.